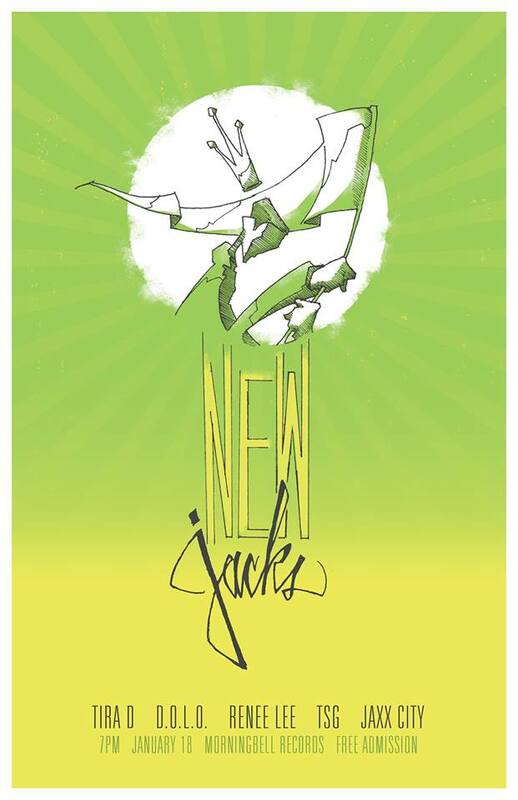 Next Saturday, January 18th, The Basement presents New Jacks live at Morningbell Records & Cafe. A showcase of up and coming artists from the Jackson hip-hop scene. The show will start at 7pm sharp and the price of admission is no dollars and no cents, or as I like to put it $Free.99. The roster for the evening includes Tira D, TSG, D.O.L.O., Renee Lee, and Jaxx City. If you did not make it to the last Basement event, you missed out. Don’t sleep this time. Click the more button below to check out some music from the featured artists.